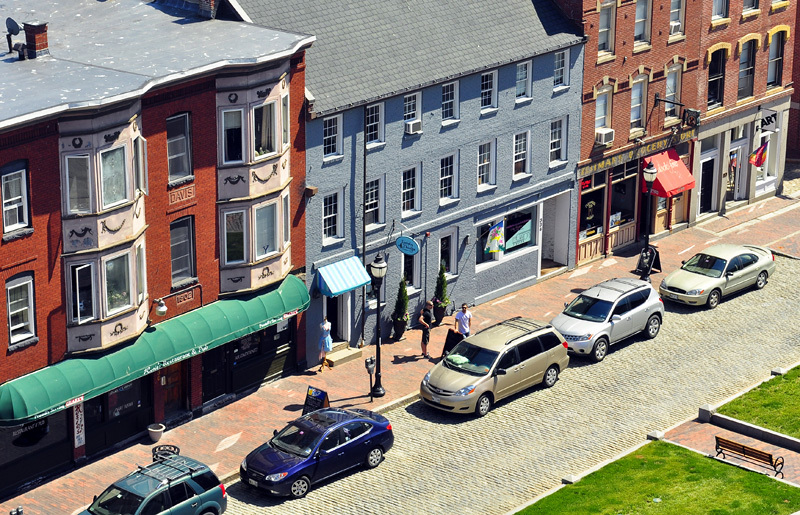 An elevated view of the stretch of Fore Street known as Boothby Square. One of my favorite spots in Portland, former home of Amadeus Music (we love you Mike)! My relatives owned Zeitman's Grocery Store. I remember going there with my parents when I was young. Wish I could remember more of how it looked inside. To Anonymous. I knew both Julius and his brother who lived in South Portland. Julius was a kind man who treated me well as a rookie cop on the footbeat in the area. I sat at the table in a the back of the store on many a cold winter night keeping Julius company. I met his Mother just one time in the store. I am talking about 41 years ago. I like this view, from above - it looks charming.